The Focus S takes all the good things I saw in the Focus Flash and offers them in slightly larger and better-looking package. The Focus S performs well across the board and there's little negative I can say about it. 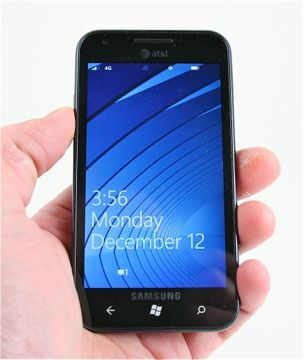 The worst problems the Focus S has are related to Windows Phone 7's rigid appearance and behavior. If you don't care all that much about customizing the appearance of your smartphone, however, this needn't concern you. Bottom line? All three Windows Phone 7.5 Mango smartphones offered by AT&T are excellent devices. The HTC Titan is the enormous Father Bear. The Samsung Focus Flash is the Baby Bear. The Samsung Focus S is akin to the Mother Bear. It's not too big, it's not too small. It works well, and is a good addition to AT&T's roster of devices.